We are the leading developer, manufacturer and marketer of Cow, Milking and Herd Intelligence solutions. Our products are used by tens of thousands of farmers on millions of cows worldwide, and they make a big impact on farmers’ businesses and lives by enabling smarter production practices and more successful farms. 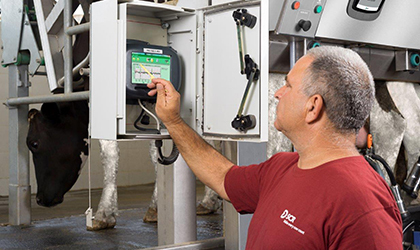 We provide the insights and analytics that are essential for optimizing the productivity of every cow, thereby maximizing herd performance and helping to ensure a secure and prosperous future for dairy producers and their families. Contact SCR for more information on their monitoring & intelligence systems. 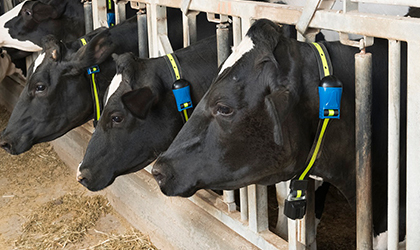 Cow Intelligence: Advanced cow monitoring systems designed to collect and analyze critical data points, from activity to rumination, for every individual cow. Delivering the heat, health and nutrition insights farmers need, when they need them. 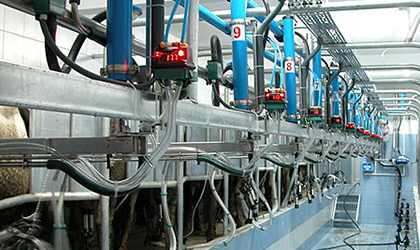 Milking Intelligence: Advanced milking solutions, led by best-in-class milk measurement technologies, simplify and streamline the milking process to save time, improve accuracy and drive overall efficiency. Herd Intelligence: Our advanced and scalable management system, enabling intelligent utilization of the data provided by SCR cow and milking intelligence solutions and compatible with third party solutions, provides integrated, pre-analyzed, actionable information, for efficient and profitable herd management. 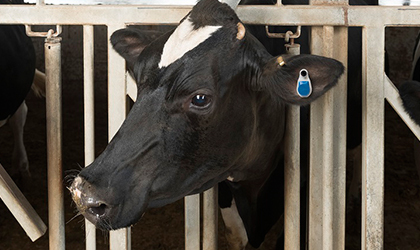 Headquartered in Israel, with a US and European subsidiaries, sales offices in China and more than 300 employees worldwide, we strive to secure dairy farming’s future by monitoring every cow. Enabling smarter production, more sustainable practices, and more successful farmers. A selection of services from SCR.